This exceptional property, surrounded by many estate homes, retains the impressive styling of its circa 1928 roots beginning with its elegant stucco and terra cotta façade. The mostly level lot of more than one-third acre is situated in desirable Lower North Hillsborough and offers an excellent opportunity for restoration, remodeling, or building new. Inside, a host of finely crafted vintage details reveal themselves at every turn – from hand-hewn ceiling beams and graceful architectural arches to fine hardwood floors and wrought iron railings. The 4-bedroom, 3.5-bath home, totaling approximately 3,100 square feet, includes formal living and dining rooms, plus a light and bright kitchen with adjoining breakfast room and butler’s pantry. Personal accommodations comprise 3 bedrooms and 2.5 baths on the upper floor plus a bedroom suite on the main level. Additional flexible space is offered via the partially-finished lower level, second-level sunroom, and exterior terrace. Outside, the wrap around yard offers an inviting landscape for expansion or construction. All of this, just minutes away from downtowns San Mateo and Burlingame, with easy access to Highways 280 and 101 for commuting to San Francisco or Silicon Valley, plus top-rated Hillsborough schools. 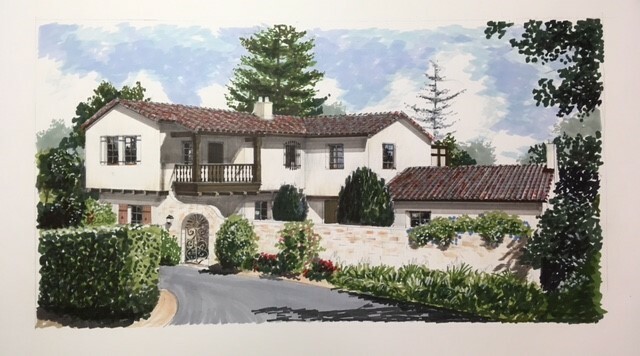 A rare opportunity to make your mark on an authentic California residence.